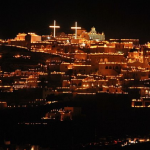 Anemolia Villa | Easter in Santorini: A lifetime experience! It is one of the most favorite Easter destinations. For many people, Santorini is synonym of holidays during the Holy Week. It’s a unique feeling. You can confirm that from your first tour in the traditional villages of the island. 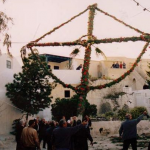 In Megalochori, at the Raising of Lazarus day, the renowned “Lazarus” is placed at the village square with 20 meters height and decorated with beautiful flowers. A magnificent sight in the eyes of the young and the old ones. 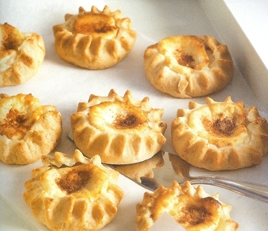 Among the Easter delights don’t forget to include the local delicacies. 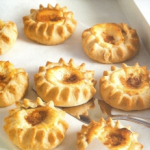 Melitinia, are sweet small pies with cheese, which are the best tonic for walks through the picturesque streets of the island. 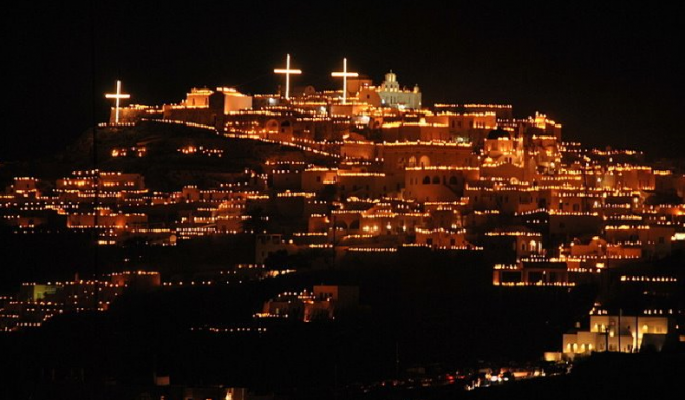 On the evening of the Good Friday the participation in the epitaph procession is a beloved tradition, while small lamps are embellishing the sky. 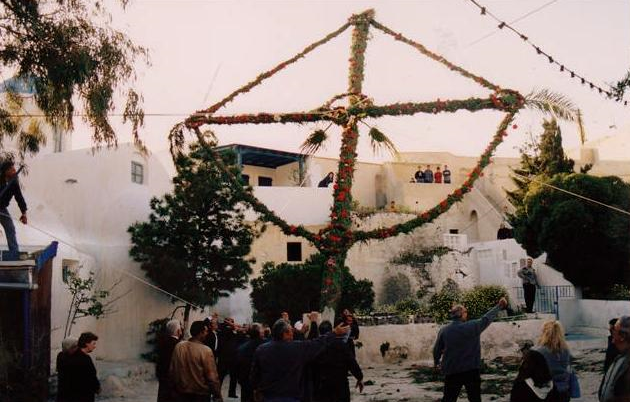 During the Resurrection Day, the greetings are set up on the table, fireworks light up the sky and the friendly residents offer sgardoumia, a unique delicious soup, which it is prepared especially for this evening. It is offered as a gift to the island’s visitors.